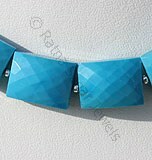 There are gemstones that are beautiful and precious and then there is a gemstone Turquoise the absolutely stunning gemstone that has a special flair of attraction and brilliance associated with it. 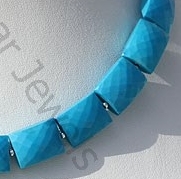 This very beautiful and stunning gemstone has for long been praised for its eternal beauty making it the perfect stone for gemstone studded jewelry and ornaments. 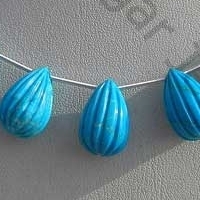 Though turquoise is an ancient name for the gemstone, yet it is the name that finds itself back in fashion every time we talk of beautiful gemstones. 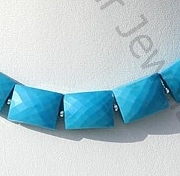 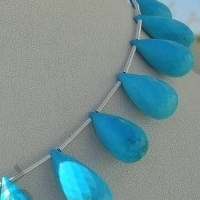 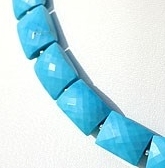 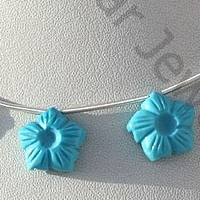 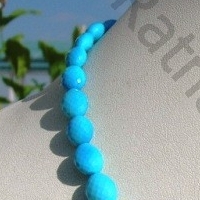 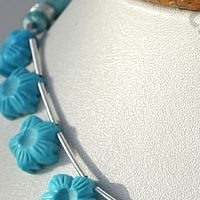 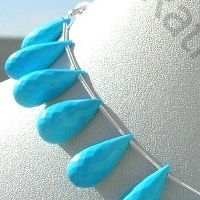 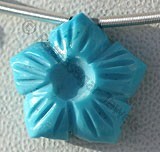 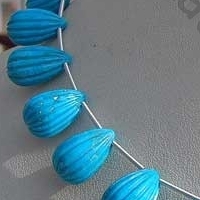 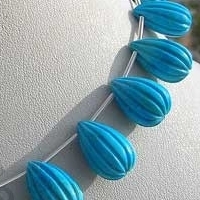 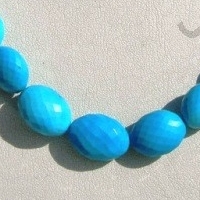 The shine in its sky blue color makes it one of the most popular trend colors in the jewelry and fashion market. 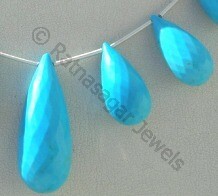 Dealing with the turquoise gemstone can be tough if it is not given the right shape with utmost perfection. 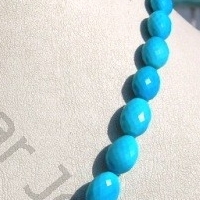 Since turquoise is a beautiful gemstone with an equally perfect color, therefore this gemstone has been chosen by most women who have a special love for gems and want to look beautiful in every form. 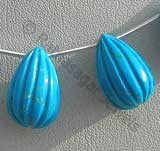 Ratna Sagar Jewels is a team of perfectionists who deal with the turquoise gemstone beads with utmost care and take care of its shapes. 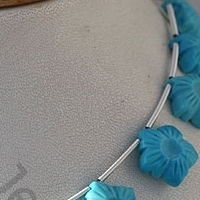 They have skilled artisans who give the turquoise gemstone beads in a variety of shapes including: fancy cut, moon flower cut and oval faceted. 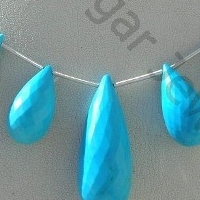 Check the online collection of the AAA quality turquoise gems and choose the shape that is perfect for you.